Vicki Boster - 2 Bagsful Blog. positive ways since the beginning. to showcase your blog and to share your talents with each other. All you need to do is ask!!! myself as a person and an artist! braids, vintage findings, stamps, inks, paints, fibres, vintage laces and doilies. a long post because there are heaps of images. and the finished items to feed their inspiration. and here are just a few that you might enjoy. here on my blog under journals and lace books. needle books like these ones too. of recycled fabrics, jewellery, buttons and laces. These two hearts are my most recent heart creations. to these amazing Chinese Elm trees. 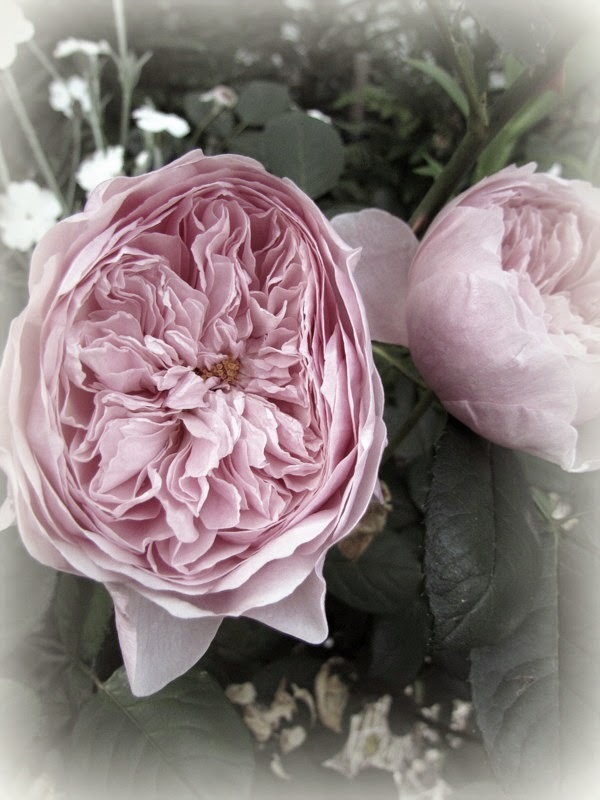 Cecile Brunner rose climber and Crepiscule! 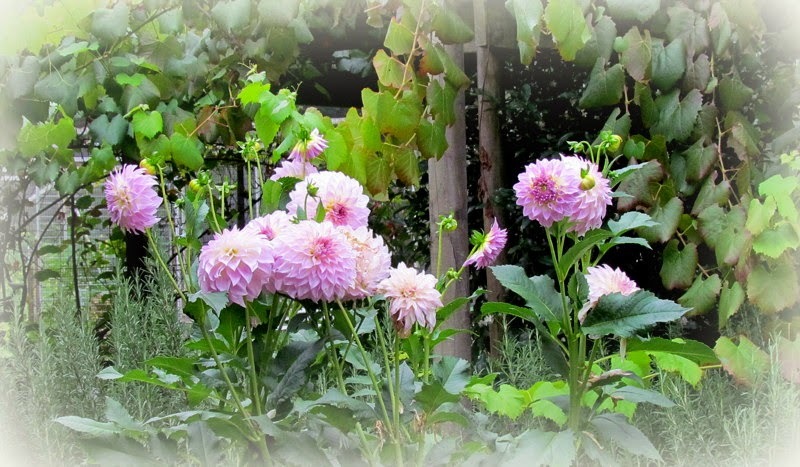 Dahlias in front of a Ornamental Grapevine. Places to sit in the shade! so that I can put you in the draw to win. her blog for the next 12 months. to gain heaps of new inspiration. this party a huge success once again. "Beauty Lies Within" your blog!!! What a wonderful visit, full of inspiration! Good Saturday morning! Mr. Goat is my favorite! 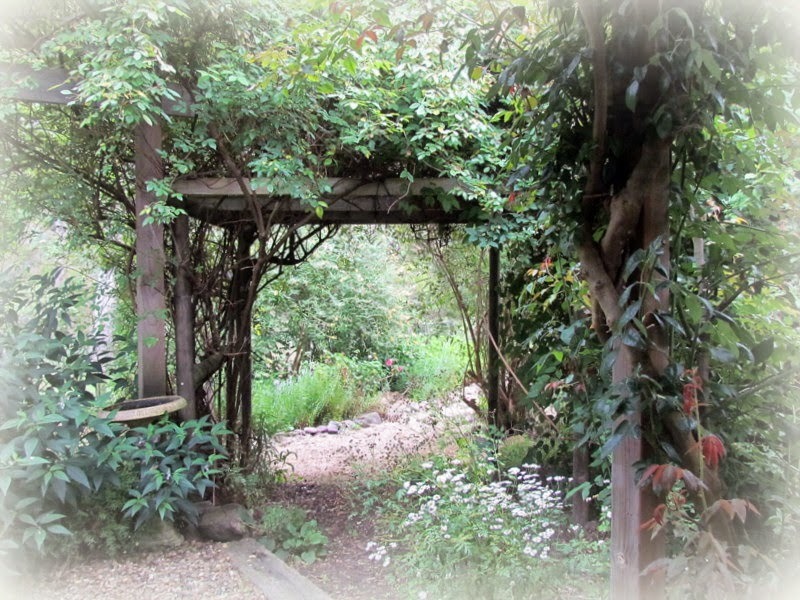 I am having my morning coffe, daydreaming of your magical garden and cabin! 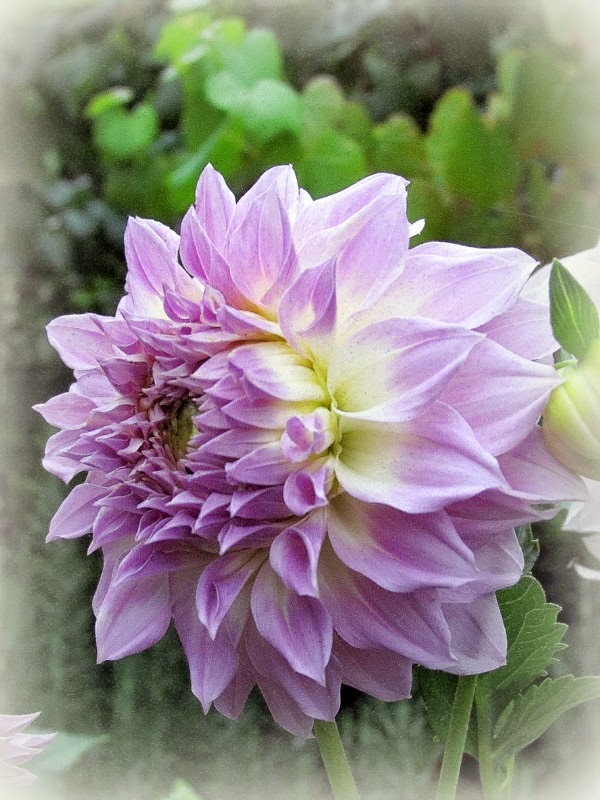 Dahlia's , luscious beauties. All your lace and bobbles create the memories of a more elegant time. Simpler time, of grace and consideration! I visited your fabulous blog frind , Vicki , OH MY! one of each please! Now I would be glamour indeed up here at the North Pole with just one of the amazing slouchy caps! your post is amazing. I love everything you do and I saw you shared the beautiful card you made for me ~ I love it so much! Your giveaway gift is stunning as always. Hi, dear Suzy. Yours in the first blog I'm visiting this year for the GYB party. I didn't participate this year because of the broken ankle. I'm thinking you will have many new followers who want to be inspired by your beautiful artwork. I am a very happy follower of your as you create THE most gorgeous vintage inspired piece -and the photos and vignettes are just as beautiful. This has to be the most beautiful post of all!Thank you for a chance to win one of your exquisite creations! Your work is so beautiful Suzy. I want to learn to create with fiber. Thank you for having so many pictures, there are never too many of your beautiful works. Thanks for the chance to win one of them! OMGosh Suzy!! Your art is wonderful...even your studio is a work of art!! This was a lovely post about you and what you love. Love your blog! Always enjoy your posts. Oh Suzy, I adored reading this recap of your gorgeous creation, your garden and I don't think I ever knew about the goats before. Thank you for sharing!! Your work is so lovely. I would love to see it up close! Please add me to the give away. Love this gorgeous blogpost. I sometimes look at your blog because i try to make fabric cards and get inspired by your beautiful cards. With such eye candy shown i now feel i have to say how much i love your creations. Suzy, it was so much fun to revisit all these lovely creations again! Hope you have a wonderful Blog Party. I love your lace collection and the nature that's surrounding you.. Is really beautiful and these truly are inspiration to your work. Oh wow your books are cards are just fabulous and your workspace and garden are both divine so I have just had to follow you! 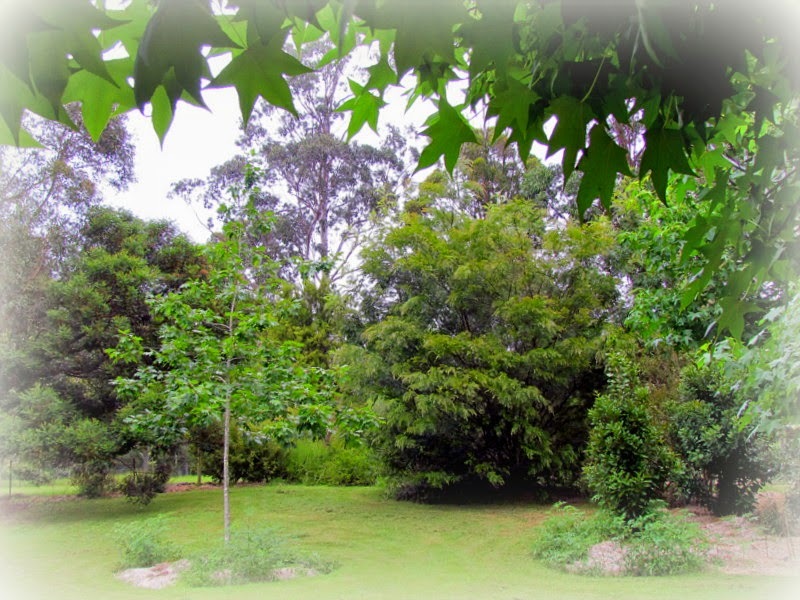 I am visiting here via the Grow Your Blog hop and look forward to popping back again soon. Have a great day. Sunshine Girl - Grow Your Blog Section 24. Your blog is so beautiful, as well as what you do. Love it all. Nice presentation..I enjoyed the tour and envy your talents..I'm creative but it's varied and on a small scale...so, I am probably not a candidate for the party but I will check in for sure.. I loved visiting your blog! I am new to the world of blogging, have so much to learn. Your friendliness and creativity are inspiring. Thank you for participating in this party and being generous and caring. Your creativity is inspiring, and your garden is just stunning! Visiting from GYB. Will be following on Bloglovin. Thanks for sharing your blog with us, your followers! There can never be too many pictures of your lovely work. You've really inspired me to add more fabric embellishments to my cards and to stop hoarding all of my pretty laces! Thanks for a chance to win the lovely collage. Wow, your work takes my breath away. Absolutely gorgeous. So very talented. Hi sweetie, your work and blog are so inspiring and gorgeous. Every time I visit I come away refreshed and inspired. Most of the pieces of art here I already knew, but some are new to me. Your recently made hearts are stunning, so gorgeous! 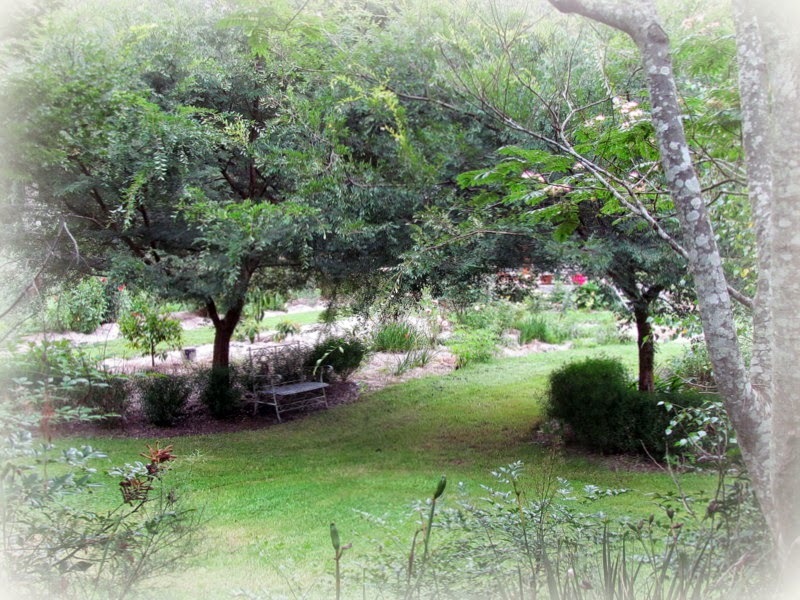 And ohhh your garden, sigh, such a peaceful and beautiful place. Your sweet goats adding to the romantic atmosphere. Sending you big hugs, happy smiles and much party fun. I was SO glad I found your blog. Your fabric and lace books made me so happy, as I am working on one right now. I simply adore your studio, too. It looks like it belongs in a magazine. Just stunning, including your garden. I got a late start, but I'll definitely be back, because I really LOVE what you make. I'm hoping that you never ever tire of sharing your life with us all. Hello Suzi! 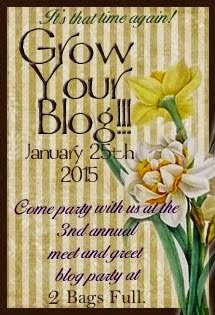 I am happy to say I found your lovely blog via the Grow Your Blog event. When I saw the lace and beauty on your site I instantly fell in love :) You truly create with passion and unique creativity. How creative you are. Beautiful! I have to admit that whenever I need a little pick-me-up or inspiration, I come here and peruse your fabric books...I can't get enough of them. Everything you create is beautiful and so full of love for your craft. Hi Suzy - you know I LOVE your blog! You're one of Vicki's helper's, aren't you? Anyway, so am I so to be official...I'm Sandra, one of Vicki's helpers...thanks for being a GYBP 2015 blogger; enjoy the party! I love all of your work specially your nature journals. Thanks for sharing with us yourself and your craft. What stunning work! I'm grateful to see all your beautiful photographs. What a delicious introduction to you , your work and the place where you live! I love it! It represents very well the way I imagine you in your world! Thanks for all the beauty you bring to our world! I've spent ten gorgeous minutes reading this post, oohing and aahing over your exquisite creations. Every piece of fabric and every piece of lace are chosen so thoughtfully, to create your beautiful works of art. You are so fortunate to have such a treasure chest of lace and fine fabrics - the best starting point! I'm so inspired (if only I wasn't working) time is my enemy sadly. It won't be forever I know... my day will come! I'm off to bed soon and I will dream of beautiful angels surrounded by clouds of lace – that’s heaven for sure! Wonderful blog post as always, full of beauty and creativity. A delight to see where you live and work. You are very creative! Outstanding work! I've gone against my plan of hitting each blog in Vicki's order but decided to pop in to attend YOUR party. And what a party - you do know how to host a bash, girl. As always, your touch is magical and everything you create is out of this world. Looking forward to seeing more. Thanks for coming to my party and checking out my blog, too! 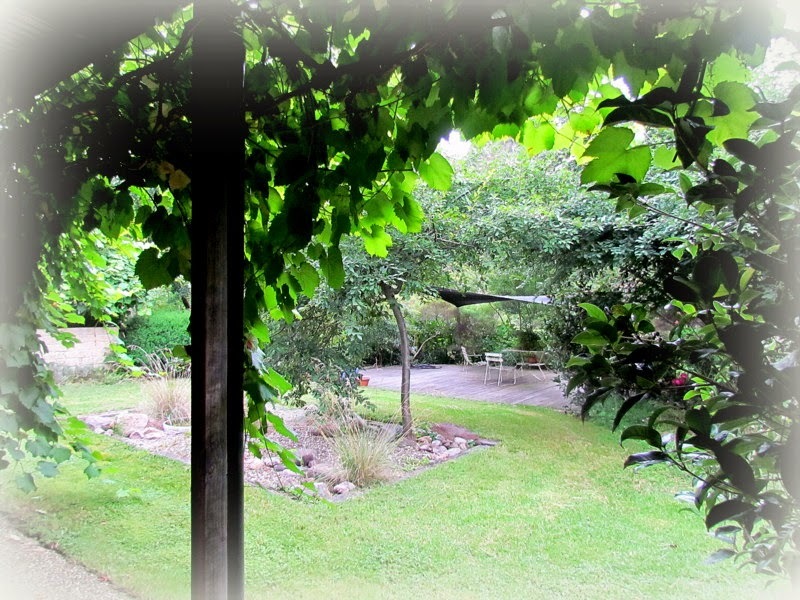 Dearest Suzy,- yes beauty surely lies in your blog, your studio ,your garden and in you, my sweet friend. What a picturetrail of stunning art pieces from your creative heart and hands . I so admire your ability to turn every single little piece of fabric and lace, into some amazing stories ,which I soo love" reading" . Your journals are stunning pieces, and so are your collages, cards ,and all things coming from your hands. On top of that you are a most beautiful, and dear friend, so my visits here are also always filled with a special joy of sharing your precious friendship. With loving hugs and warm thoughts from Dorthe. I will write you later tonight ,dear !!! Wow! 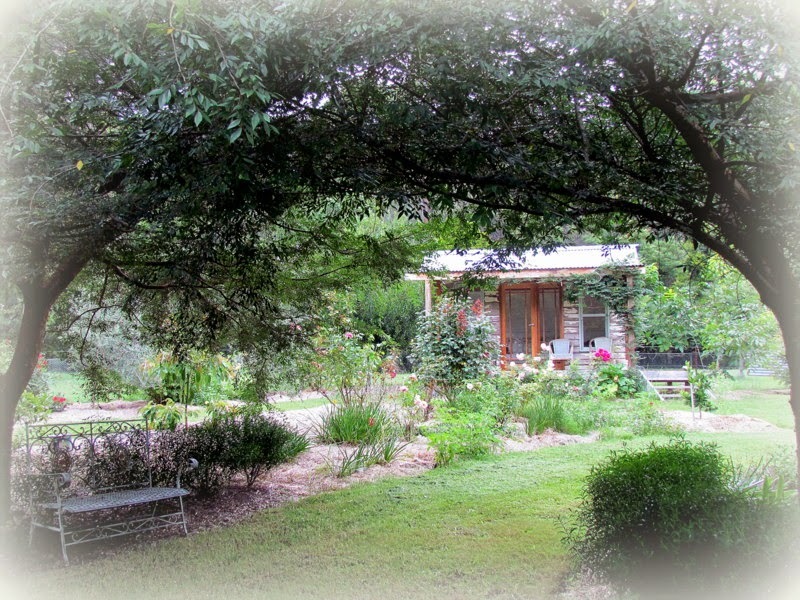 What an amazing tour of your studio, your work and garden. All of it is so lovely! Hi Suzy--I've long been a follower of your blog and your beautiful creations. I would LOVE to rummage through your stash of lace...it must be incredible!! And the GOAT photo...love it!! Hi Suzy, dropping by on the GYB party, waving Hello form snowy cold eastern Canada. Loved seeing all your sweet creations. I hope you'll drop by to visit me too at Stitch Lines. Have fun on GYB. You have a very special creative ideas. Do you ever have classes on line? Your yard is so wonderful. late as always,lol. Thanks for sharing all the gourgesness. Have fun at the party. I've been a follower of your blog for a while now. I stand in awe of your beautiful handmade creations. Your blog is one of my favorites. You are so inspiring. I'm so glad that you share your wonderful talents. Thank you so much! Have a wonderful day. Some time ago I discovered your blog and always visit because I really like your work. I must tell you that you're a great artist. But I have to ask: I love cloth books, but what is it used for? because sometimes you do things and then not know what to do with them. I know you sell, you have an Etsy shop, but I mean the practicality of them. I hope you take away my curiosity. I join the contest, despite not being in USA. Thanks for the chance to be inspired and perhaps win (fingers crossed) a bit of your work. What a wonderful post. Your works of art are breathtaking. Thank you for sharing so much of your kind self and your creations. I love to visit your lovely and inspirational blog. 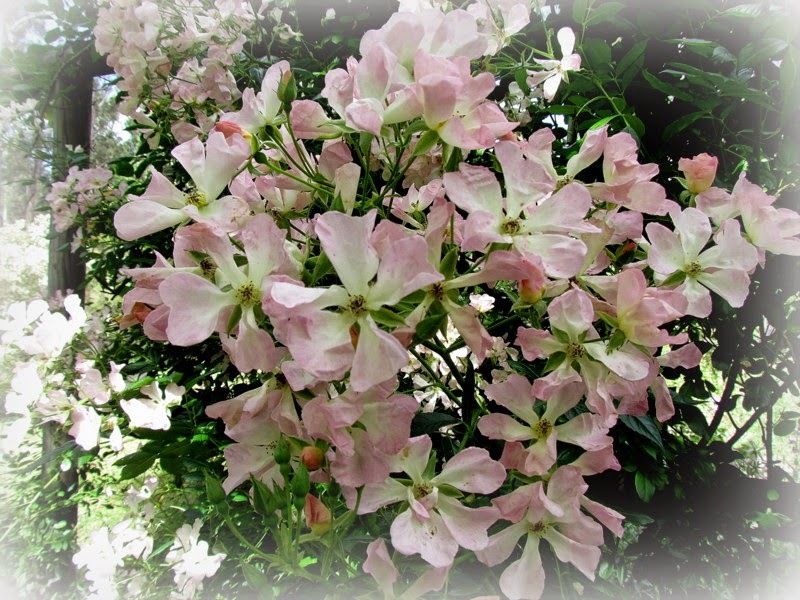 Hugs and blessings to you, dear friend ! What a fantastic post and gorgeous creations! I'm so happy I discovered your blog. I have no words.. such beauty in layers and layers of fun textures.. my eyes so inspired.. every one a piece of true craftsmanship and art.. so glad I didn't miss it.. Your work is beautiful but the bird ones really speak to my heart. Thanks for sharing. Dear Suzy ~ Your creations are not only exquisite, they are gentle and feminine. They are created with love and from your heart. Thank you for sharing so much here in blog land. Oh my! That certainly was a feast for the eyes Suzy! So fantastic to see some beautiful older and newer(to me) pieces all together! 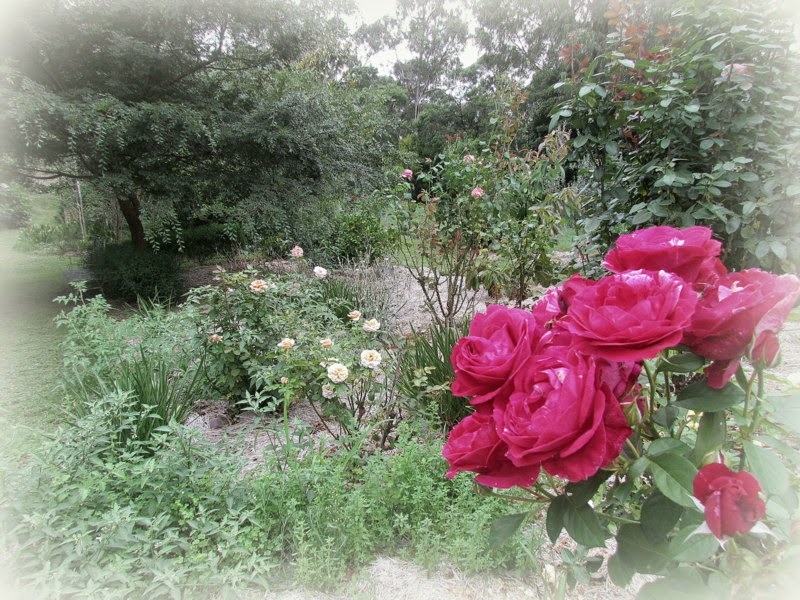 and to revisit that amazing garden of yours. Gorgeous! Hi, Suzy. Never miss your blog because it is on my feedly.com list that I check daily. Yours is one of my favorites. Eye candy it is. Well, I will most likely trip on my lips when I get up to go to bed because my mouth fell open while I looked through your photos! Your artwork is magnificent! ALL of it! There is no way anyone could choose a favorite! and your property!! no wonder you have such a creative soul! I wish I could just come visit for a day... but then, I might not want to leave! Hello, Dear Heart! I felt as if I were on a cloud as I visited your peaceful creations. Thank you for taking me away from dealing with chemo, scans, doctor appointments and pain. I felt such loveliness radiating as I gazed at the hearts and the wearables. I do have a blog which I haven't kept up but perhaps I will post again soon - Gypsy Threads. Thank you for your gift you share with us. Hello Suzy, from a bright and cold UK. I am returning your visit to my blog in the GYB party and have been blown away by your beautiful creations. Your stunning fabric books really caught my eye. I am envious of your craft room too. Your style is very different from anything I do so I will be adding you on Bloglovin to provide inspiration for me. Visiting from the UK - I've been following you for a while! Thank you for the tour of your studio, gardens and, of course, your stunning artwork. It is always a pleasure to visit your blog! I don't know how you do it to find the time to create all of these wonderfully, beautiful heirloom style, femininely created pieces. I almost swoon every time you post another piece. You are definitely Heaven inspired. And the flowers in your garden are equally exquisite. You have a paradise there where you live. What, I haven't commented on this post before? Tut, tut. Now, what can I say that I haven't said many times before? You are such an inspiration to so many people, your creations are so beautiful and I am honoured to know you. Thank you for taking the time to visit my blog! I really do appreciate that. Your art work is stunning. I am particularly partial to anything heart shaped, and I love your heart shaped art work! I would love to know more about your angora goats. 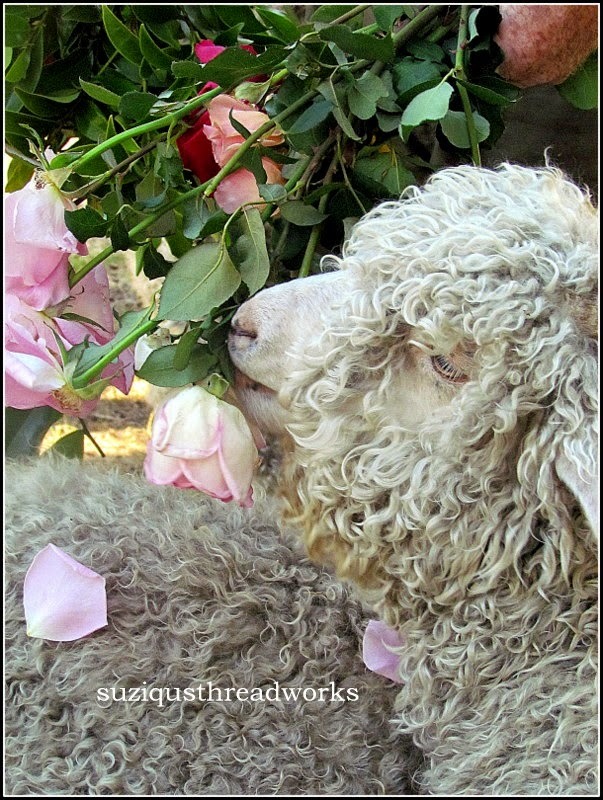 What is the process to get the angora to create with? What do you create? Love your pieces. Your work is so warm and inviting. Have been following you for some time now and truly enjoy each "share". Thank you for this chance. Your blog is so beautiful Suzy and I absolutely love coming here to be inspired. All your works are so gorgeous and full of love. I really like your studio pics as well, such a beautiful place to sit and be creative. Have a blessed and wonderful day. Wow...I love your studio! Such gorgeous creations you make there! Thank you for sharing them with the world. God bless! Love your work and all the beautiful fabrics and lace. I share a passion for the garden.